Castrating (or ‘cutting’) your colt or stallion can be a daunting prospect, but is usually the best decision for the horse to enable him to live with other horses with less risk of fighting and injury or covering mares. If the horse is not going to be used for breeding, castration is usually advised. Our Devon county equine vets provide their expert advice on what to take into account if you are thinking about castrating your horse. It must be remembered that if stallions are castrated later in life some of this behaviour will be ‘learned’ and castration will not abolish it. We can castrate a horse at any age, but recommend it being done after 5-6 months. This is usually when they start to show some colt-type behaviour and the testicles are still quite small, therefore so are the blood vessels reducing risk of bleeding. Some people prefer to leave them until they are a bit older due to perceived benefits with respect to growth and development. Timing will depend on your aspirations for the horse, experience and facilities available. What Are Possible Complications of Castrating a Horse? Swelling: some swelling is to be expected post-surgery. If you are concerned about how much it is best to call for advice. Infection: Infection is a risk with any surgical procedure. Usually it is because the incision has closed early, before drainage has resolved. Bleeding: This is a risk in the immediate post-operative period. ‘Open’ castrations (no ligatures) are expected to bleed, but as a general rule of thumb, if you can’t count the drips because it is too fast you need to call the vet. Bloody-coloured fluid can drain from open castration incisions for several days intermittently. Eventration: This is a rare but potentially very serious complication where a portion of gut has descended through the inguinal canal and out of the surgical site. If you see anything sausage-like protruding after castration it is an emergency and a vet is required. Rarely, a piece of omentum (lacy-looking tissue) can protrude: this is less serious but still needs seeing by a vet as an emergency. 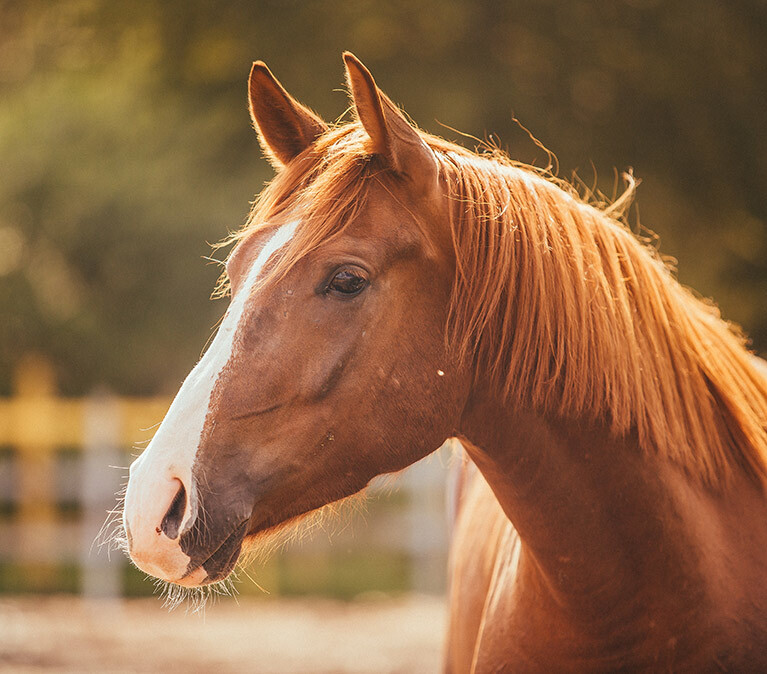 How To Provide Post-operative Care For a Castrated Horse? The vet will tell you about how to care for the horse after surgery. As a guide, we recommend the horse is kept in a stable and quiet that night, before being turned out the following day onto a paddock which isn’t too muddy. It is important the horse gets some exercise daily, so if he is not moving around in the paddock then a lead walk twice daily would be advised. The vet will probably provide you with oral medication to be given twice daily for a period following surgery. But, don’t panic, although it is a surgical procedure and risks/complications are possible, it is very routine for us and complications are fortunately rare. To discuss your individual needs/requirements/concerns please give us a call and ask to speak to one of the Devon county equine team. In a nutshell both testicles and their associated structures are removed surgically. We have two basic options for equine castrations: recumbent (anaesthetised; ‘knocked out’) or standing. Can’t be done in miniatures or small hairy ponies as not enough room! No sutures are placed and haemostasis (prevention of bleeding) relies on clots in blood vessels as a result of the emasculators (surgical clamping tool) used. Can take longer to fully heal and can drain for many days. Can be done exactly the same as standing but under anaesthesia. Ligatures can be placed (under very clean conditions) reducing risk of bleeding and other complications. Suitable place required: with lots of room if any larger than a miniature. Some increased risks, mostly associated with induction and recovery from anaesthesia. The exact surgical method used will depend on the vet and their personal preferences and previous experience.